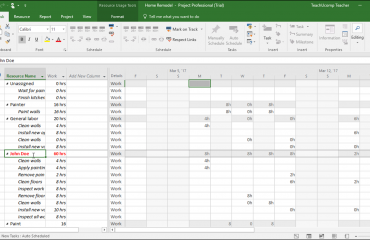 Try the Excel Course for Free! 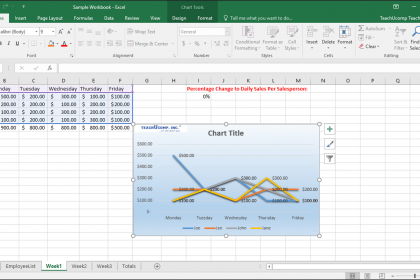 You can name an embedded chart in Excel by selecting the chart to name within a worksheet. You can then click into the “Name Box” at the left end of the Formula Bar and then enter a new name for your selected chart. 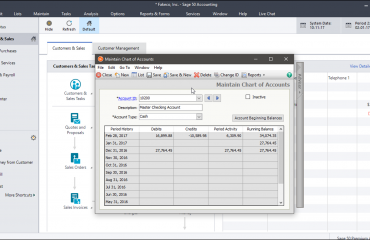 Naming your chart allows you to more easily refer to the chart if you have multiple charts within your workbook. This also assists in giving the chart a name for use in VBA (Visual Basic for Applications) coding, if that is needed. After entering a chart name, press “Enter” on your keyboard to apply it. Name an Embedded Chart in Excel – Tutorial: A picture of a user naming an embedded chart by using the “Name Box” in the Formula Bar in Excel 2016. To name an embedded chart in Excel, select the chart to name within the worksheet. Click into the “Name Box” at the left end of the Formula Bar and enter a new name for the selected chart. After entering a chart name, press “Enter” on your keyboard to apply it. Sale! $15 Courses! 0 Days 18 Hours 34 Minutes 43 Seconds $50 $15 Every course on sale!